These new artworks are by 11 Arizona artists, some early in their careers, some seasoned vets. 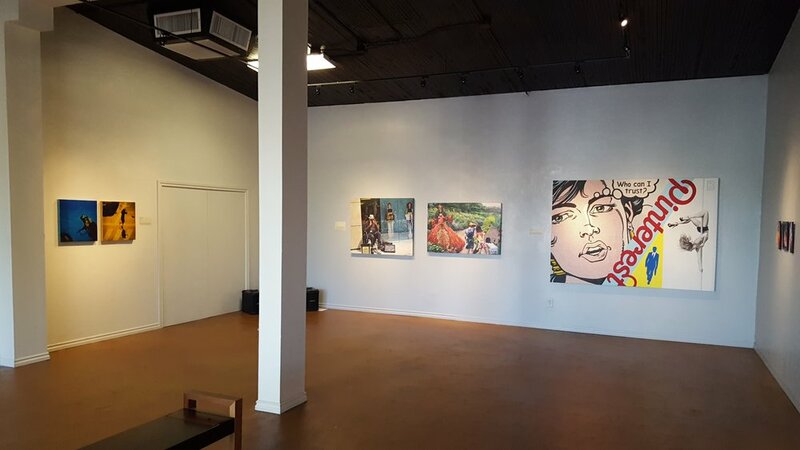 The pieces were selected from submissions to an open call to Arizona artists over the last six months. Germain selected works from a vibrant and diverse group of artists that play very interestingly together. This exhibit is installed at The Walter Art Gallery and available for online viewing at Thermal Gallery. Featured artists include:Marlena Barnhart, Rembrandt Quiballo, Ryan Carey, FunWOW, Jill Friedberg, Barb Goldberg, Joshua V Louchheim, Allie Giambalvo, Rebecca Miller, Anthony Garcia Banayat, and Jim Covarrubias.